We are still watching the world competition in the 2016 Summer Olympics. 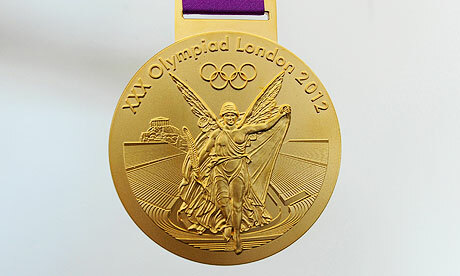 All contestants are vying for a Gold Medal. Personally, I would rather have a Gold Guitar. I thought we would take a look at some unique golden models. Taking 1st place is the Gibson Les Paul Goldtop. Popular guitarist Les Paul had a lot of input with the design of his signature instrument. He had been experimenting at the Epiphone factory, when it was in New York, by taking apart and putting together guitars and adding pickups to them. Fender had introduced the first mass produced electric guitar in 1950, the Telecaster. In 1951, Ted McCarty consulted with Mr. Paul to design a classier version of a solid body electric guitar. Les’ first choice for colour was gold. It looked uptown and showed up nicely on his television show and according to Les, reflected his showmanship. His next choice was black, since it went well with the uniform for jazz players, a tuxedo. 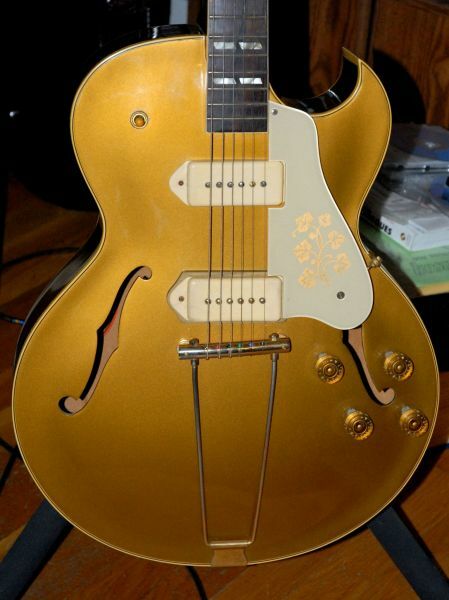 The original Goldtop was in production from 1952 to 1958. 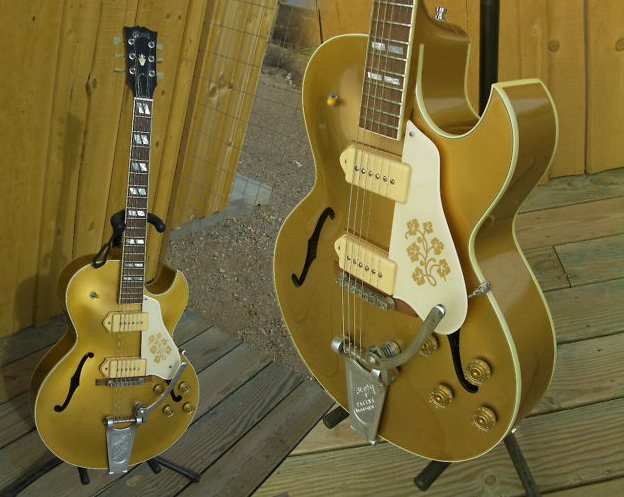 The original models were scaled down versions of Gibson’s archtop line. The Les Paul was sleek and slim. It had a maple cap over its mahogany body, purportedly to increase sustain. Les Paul’s signature was inscribed on the headstock. The original version came with a set in neck, a one-piece trapeze bridge/tailpiece and twin P-90 pickups. The earliest models were unbound. Later in 1952 binding was added, as were serial numbers. Some of the early models were fitted with black pickup covers, rather than the usual cream coloured covers. In 2nd place is the Gibson ES-295. This instrument also first appeared in 1952. As with most all Gibson guitars of that era, the model number indicated the retail price. We can see where Les Paul got some idea of what he wanted his signature model to look like. 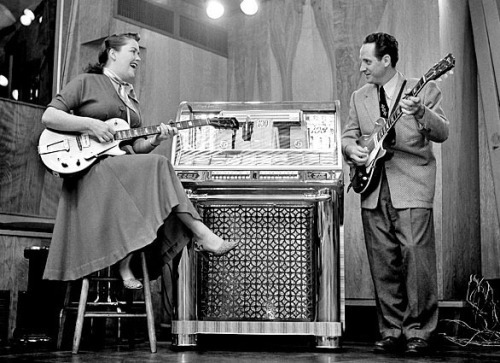 In fact, Les Paul’s wife and vocalist, Mary Ford, played an ES-295. 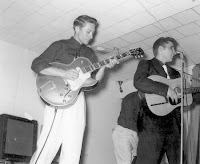 Scotty Moore favored the ES-295. The drawback on the original models was the combination trapeze bridge/tailpiece. It did not allow for individual string intonation. 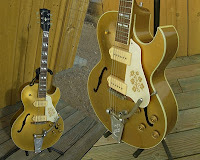 Later models came with a Bigsby tailpiece and a tune-o-matic adjustable bridge that was mounted on a rosewood saddle. The knobs for volume and tone had a gold hue. 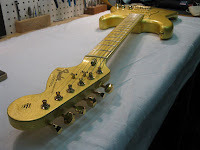 The neck finished matched the body. 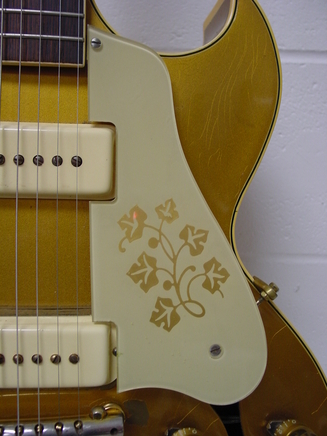 The pickguard was embossed with a floral design. The rosewood fretboard had parallelogram inlays for fret markers. The headstock veneer was topped with Gibsons Crown inlay. Like the Les Paul Goldtop, his guitar survived until 1958. In 1957 the pickups were changed to gold-plated humbuckers. 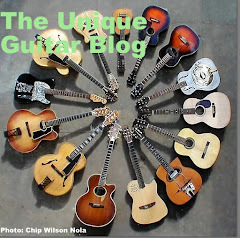 Gibson resurrected the model from 1993 to 2000. Some consider it a fancy version of the Gibson ES-175. 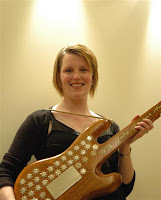 Finishing 3rd is Fender Guitars with their Mary Kaye Stratocaster. For the unfamiliar, Mary Kaye aka Mary Ka’aihue, was a popular Las Vegas Lounge player. She was actually descended from Hawaiian royalty. 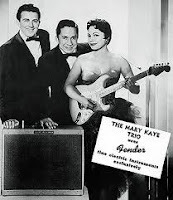 In a 1956 Fender promotional advertisement, The Mary Kaye Trio was shown with Miss Kaye holding her new custom Fender Stratocaster. The body was ash blonde and featured a maple neck. 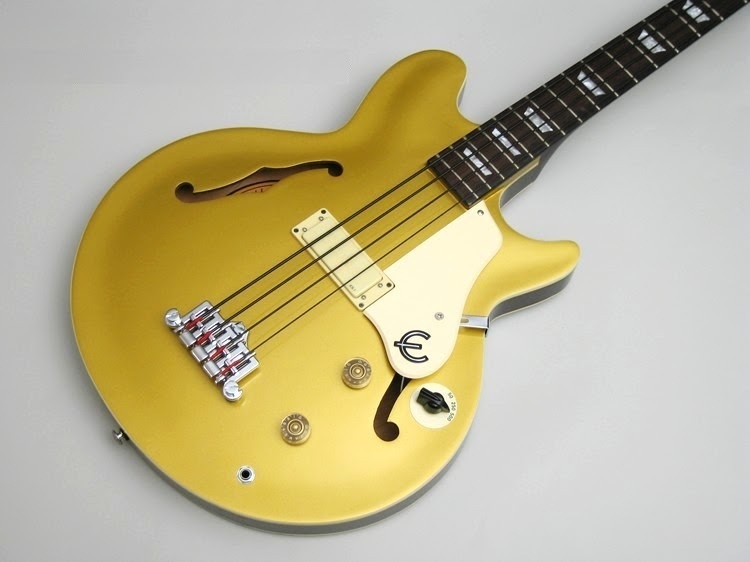 The pick guard was made of gold plated anodized aluminum. All of the metallic parts, bridge and bridge cover, tremolo bar and tuners were also gold plated. This was the first custom guitar that Fender ever produced. Fender has reintroduced it on several occasions. An original Mary Kaye is a highly sought after collectors item. 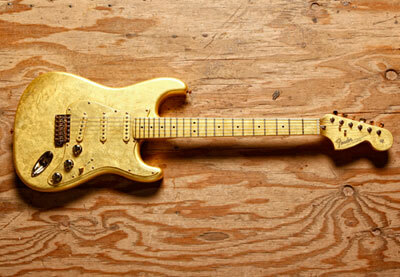 4th place goes to Prince’s Custom Shop Gold Stratocaster. The man formerly known as Prince and now currently known as Prince had this guitar created to kick off his Welcome2 America Live Tour. It was later auctioned off by Prince. The winning bidder was U.K. Formula 1 race car driver, Lewis Hamilton. Mr. Hamilton plunked down a cool $100K to purchase the instrument. All proceeds went to children’s charities. The 5th place winner is Fender Shoreline Gold. This is not actually a guitar, but a custom paint that was offered by the Fender Company as early as 1959. I have seen this finish on Stratocasters, Jazzmasters, and even on Fender’s electric mandolin. 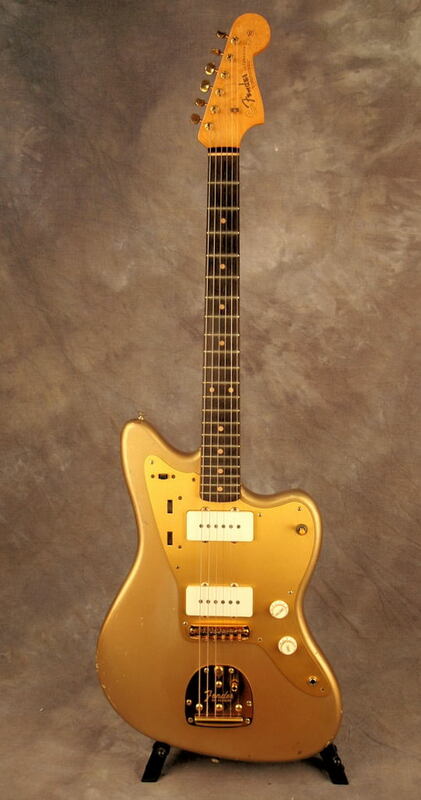 One of the prettiest guitars is a Shoreline gold Jazzmaster with a gold anodized pickguard, and gold hardware. 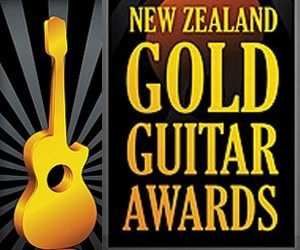 Coming in as the 6th place Gold guitar goes to Gibson. 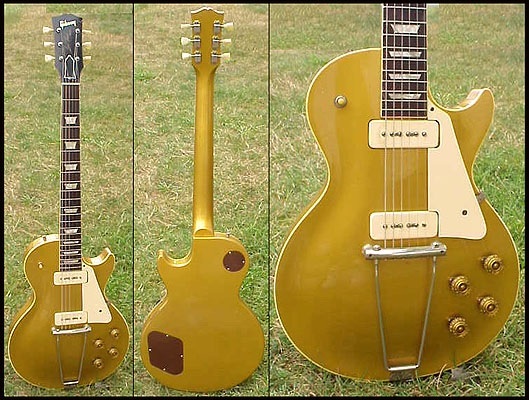 Around 1970, during the Norlin era, an unusual Les Paul guitar was introduced. 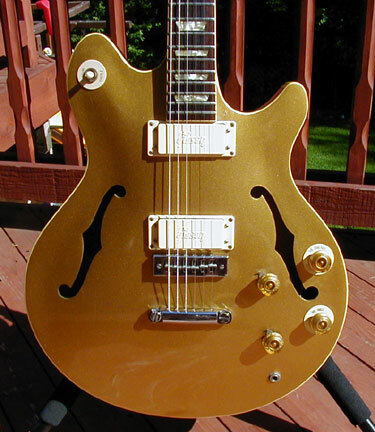 It had a similar colour scheme as the Les Paul Goldtop, but that is where the comparison ends. This was the Les Paul Signature guitar and it looked somewhat like an ES-335 with a gold top. The upper bout was rounded like on a 335, however the lower bout was…similar to a Les Paul's cutaway. Anyone who has studied Les Paul knows he preferred LowZ pickups for recording so he could plug directly into the console. The Les Paul Signature came with two LowZ pickups. It also had a built-in transformer that permitted plugging straight into the console, like Les did or played straight into an amp. It was an interesting, but not popular instrument. Jack Casady plays the bass version of this guitar. This brings us to 7th place with the Epiphone Jack Casady signature bass guitar. Casady was bass player for a number of popular bands, such as Jefferson Airplane and Hot Tuna. In 1985 he found a short scale bass at music store and began using this Gibson bass version of the Les Paul Signature model, then known as the Les Paul Bass. In the earlier part of this decade Casady worked with Epiphone to produce his signature model, The JC Bass. This is a hollow body instrument with a maple body and a single active bridge pickup, a single volume and tone control and a Vari-Tone control. The Vari-Tone control lets you dial in the impedance of its active humbucking pickup from around 50 ohms to around 500 ohms, seriously affecting your sound. As you turn the Jack Casady Signature Bass's Vari-Tone control, you shift its tone from even dynamics and full tone to a punchier response. 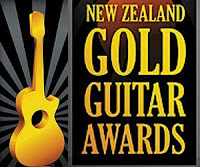 I would like to give a shout out to New Zealand for the nation's Gold Guitar Awards. This takes place at the end of May and has been going on for the past 42 years. It showcases the country's up and coming talent.